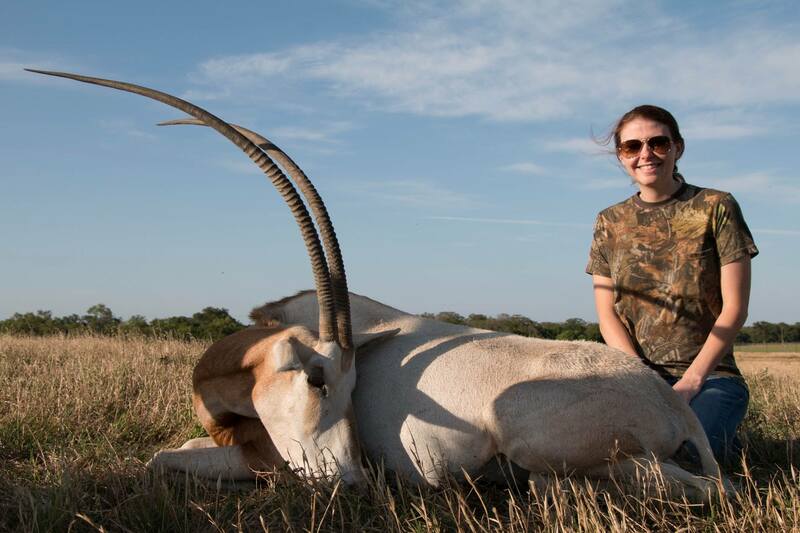 Scimitar-horned oryx hunting can be conducted semi-guided or guided. It is the same price. Hunters usually hunt from a blind. Blinds are moved and relocated throughout the year as game activity changes. For archery be prepared for shots out to 50 yards. 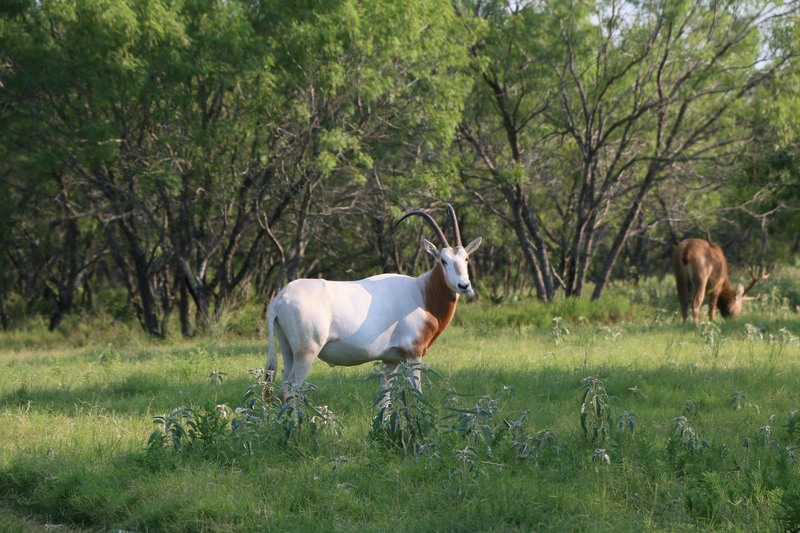 Scimitar-horned oryx tend be wary with many eyes looking out for predators. 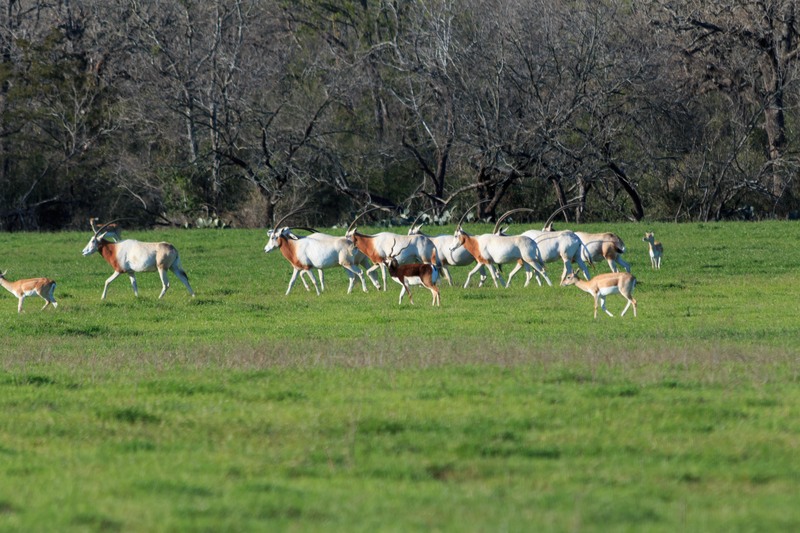 They are a herd animal and seldom travel alone. The vitals on scimitar-hornedoryx are farther forward, behind the shoulder and low. 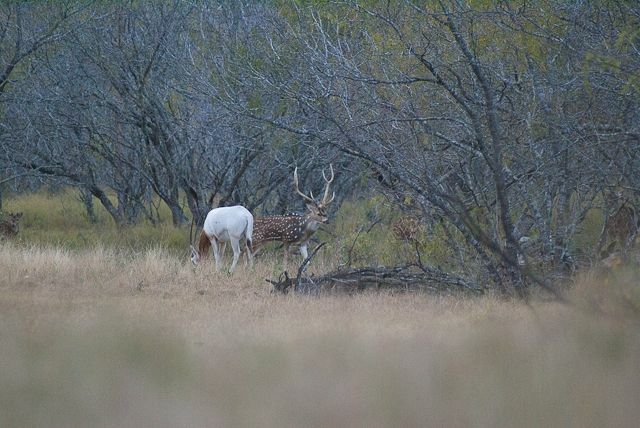 They have a heavy shoulder bone and thicker skin than a whitetail, axis, or fallow. 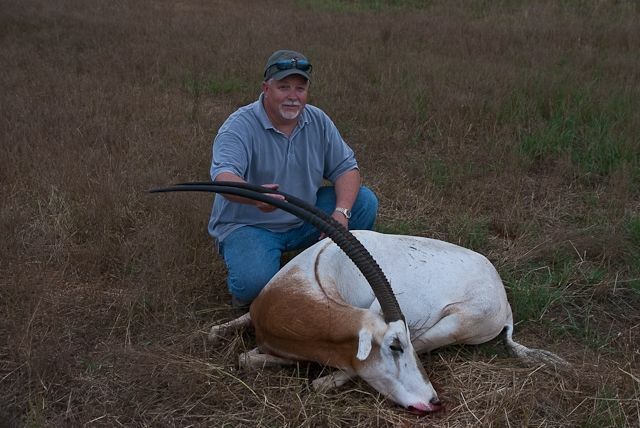 Scimitar oryx bulls can weigh as much as 450 lbs. 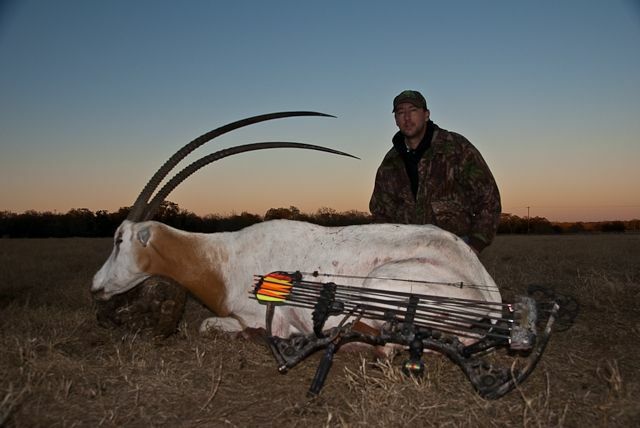 Management hunts are seldom offered but they do occur. 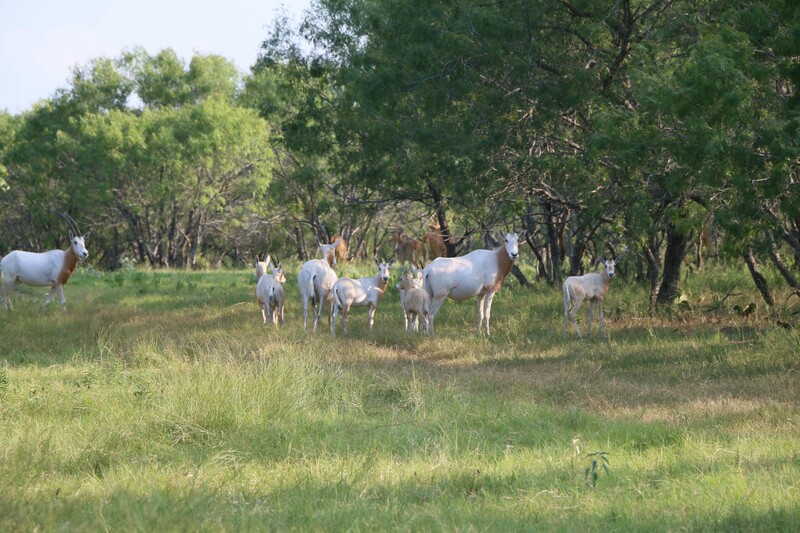 Our herd has been actively breeding here since 2004 and is over 20 in population. 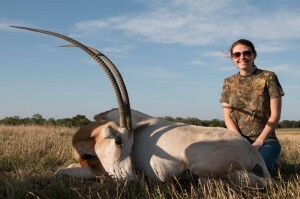 A managment scimitar horned oryx hunt will usually be for a cow.